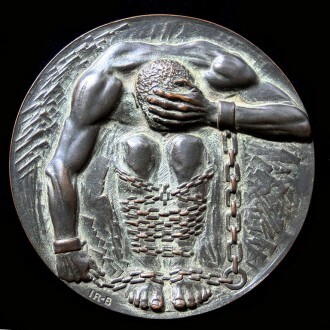 The medal itself features a chained crouched figure in despair. 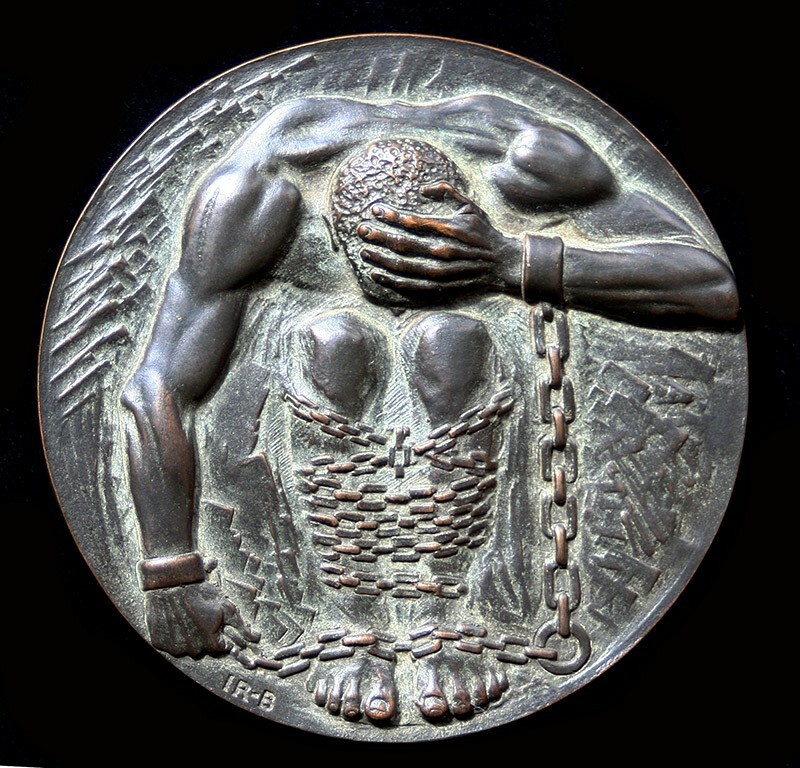 A symbol not only of the universal fate of man cramped by his own lack of imagenation and damned by conscience, but also the particular plight of a few individuals whose bodies are torched for access to their minds. The reverse is a complete constrast. 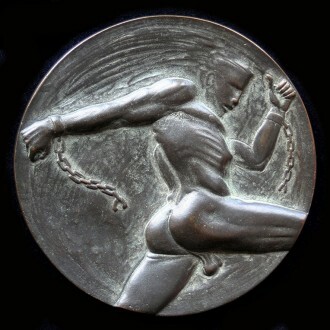 It shows the physical prowess of the athlete and alludes to the inspiration of the Greek classical ideal. He is unfettered and uninhibited, the antithesis of the chained man. In the collection of the British Museum, Staatliche Museen zu Berlin and others.